There is no greater or more vital investment you'll make in your book than professional editing, so you don't want to consider for a moment publishing your book without it. I'm a great writer ... I don't need professional help. I've heard editing is really expensive ... I’m not sure it’s worth it. My critique group's given me positive feedback ... that's proof it's already great. A few people have read it and say it's good ... how much work could it need? NO author—no matter how famous—EVER has a book go to press without months of thoughtful editing to polish it before its release. NEVER. Every big and small publishing house—from Random House to She Writes Press—considers the editing process the most crucial phase of the book production process. Bottom line: You must do the same. No matter how good a writer you are, you must put your ego aside and realize that we as writers are simply too close to our own work to see inconsistencies and imperfections. No matter the genre, you simply need the eyes and skill of a professional editor. Trust me on this. I'm a professional editor. I've also written a novel. You'd think I could edit my own work, right? Sure, the grammar and punctuation is polished, but even I know I'm just too close to my own work to see potential weaknesses in plot, character development, or the like, so there is NO WAY I would even consider not hiring a professional editor. It's simply a no-brainer for me if I want to self-publish a potential best-seller—or at least a book I can be really proud of. I guarantee that when you find the right editor for you, he or she will be an invaluable partner—and most worthwhile investment—in bringing your labor of love to fruition with excellence. You, your book, and your readers deserve it! 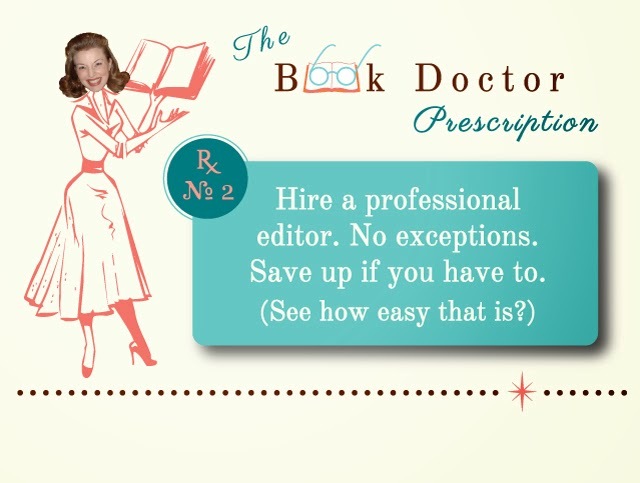 For a list of questions you should ask when hiring an editor, please pop over to my previous post, Why Quality Copyediting Is Crucial When You Self-Publish, where I share what to look for in finding the best editor for YOU. And stay tuned for next week's video where I explain the difference between developmental editing, content editing, and copyediting. And in the meantime, if you liked this video, I'd love it if you gave it a thumbs up and shared it on Facebook, Twitter, LinkedIn, or your favorite social media site so that other writers can benefit too!